Nicholas Hoult, the actor who played an insecure teen who sang “Killing Me Softly” at his school talent show with Hugh Grant’s help in the 2002 classic About a Boy and grew up to be a superhero movie hunk who fucked Colin Firth in a terrible Tom Ford movie and briefly dated Jennifer Lawrence in real life, is now a dad. Now I won’t deny that my eyebrows raised a tad when I saw that on Celebitchy. Huh? I thought. 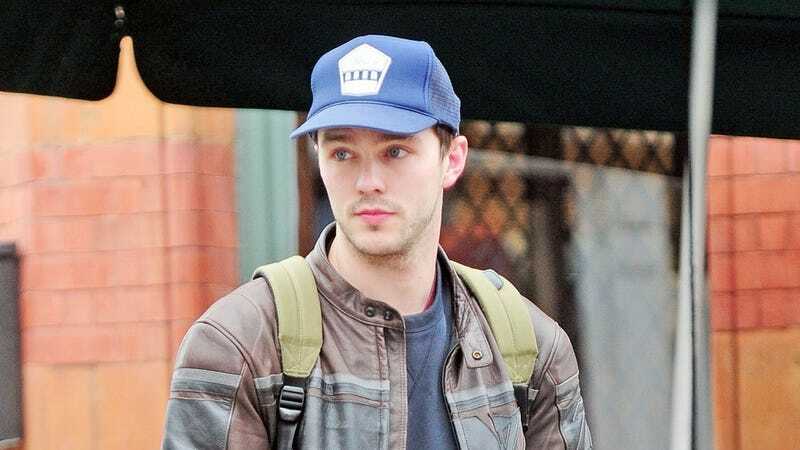 Nicholas Hoult is a dad now and I didn’t even know he was expecting? So the “surprise” part works. But upon further examination I realized no one should be calling this a “secret baby.” There’s a difference between “no one knew” and “no 1 curr,” and folks, this is a prime example of the latter. Bryana was seen flaunting that baby bump with Nicholas just last month, and when the most observant parties noticed, they were met with a chorus of yawns. So, in short, a couple had a baby, but it wasn’t a secret. It was just... Nicholas Hoult and Bryana Holly’s. There’s a difference.